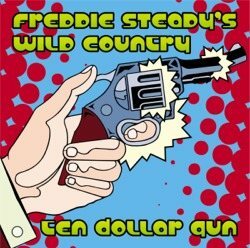 Freddie Steady's Wild Country - Ten Dollar Gun. Catchy little 12 song cd. Graphics by Dennis Loren. New in shrink wrap, $15.00.